Products. 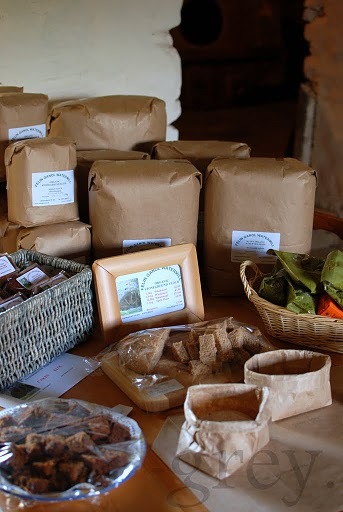 We grind a variety of organically grown grains to produce 100% wholemeal, organic, stoneground flour which is available from the mill and a number of local outlets, (listed on our stockists page). More details about the different types of flour on Flour Overview page. The mill is open for sales on weekdays kamag when milling (please phone to avoid disappointment) and Saturdays 10am to 2pm. For larger quantities of all flours and occasional special mixes please contact the mill.